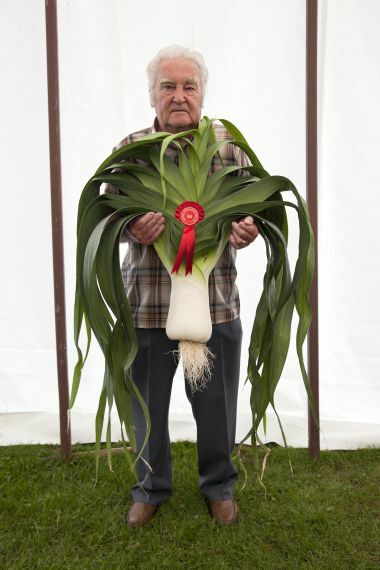 Image credit: Norman Soper (best pot leek), Sandwell Show © Martin Parr / Magnum Photos. Black Country Stories 2010 to 2014, commissioned by Multistory. After reading John’s review of Jason Scott Tilley’s “People of India” (see below), I decided I had to see the show, too. I wasn’t disappointed! The quality and the volume of images made it a very enjoyable and worthwhile trip. However, this was not my only reason for heading south for the day. The Magnum photographer Martin Parr has an exhibition of new work at the New Art Gallery in Walsall, which was on my way to Coventry and Rugby where I was visiting friends later in the day. “Black Country Stories” is a wonderful collection of images and films made by Martin over the past four years. And what an amazing collection of images he has produced. The subjects are mainly posed or candid portraits. It was these portraits that caught my eye. There was a healthy mix of people at home or work, at a social gathering or sporting event, wedding or christening or just simply being in the street where Martin was working. He could be frequently found in Wolverhampton, Sandwell, Walsall and Dudley visiting a wide range shops and markets, places of worship, football grounds, factories, pubs and clubs, dances and parties, cafés and restaurants, dog training classes, summer fêtes and street parties, which celebrated the Royal Wedding and Diamond Jubilee. The work Martin and his team have put into this long-term project is of a very high standard. The images are pin sharp, beautifully photographed, processed and printed in a variety of sizes including 10×8’s on a photo wall through to super-large images in frames. A byproduct of Black Country Stories was Martin’s return to filmmaking, an area of his work he’d not participated in for several years. The four films featured such diverse subjects as insights into Teddy Gray’s sweet factory in Dudley; coach holiday company J R Holyhead of Willenhall; Stourbridge’s Tudor Crystal; and the world of Black Country pigeon fancying! The project also includes oral histories collected by Multistory. Should you go to see this exhibition? Yes! Definitely! It’s a fine piece of work that all street photographers should take a look at. The diversity of images and subjects will give you much inspiration and get your creative juices flowing nicely. Don’t miss it! The exhibition runs until 11 January 2015. A book published by Dewi Lewis accompanies the exhibition priced £30 and is available from the gallery bookshop and Amazon. This is the kind of review that has me checking my diary and doing some route planning. Thanks for a detailed and insightful review.